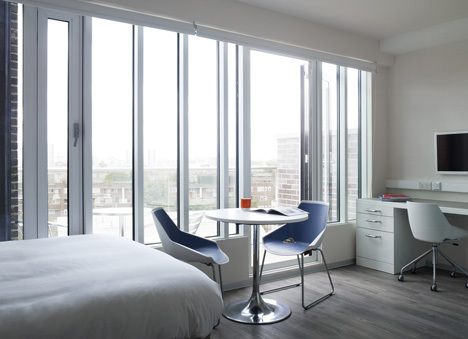 Ab Rogers, a London based designer, believes that his recent student housing project could set a blueprint for compact modern living within the city. 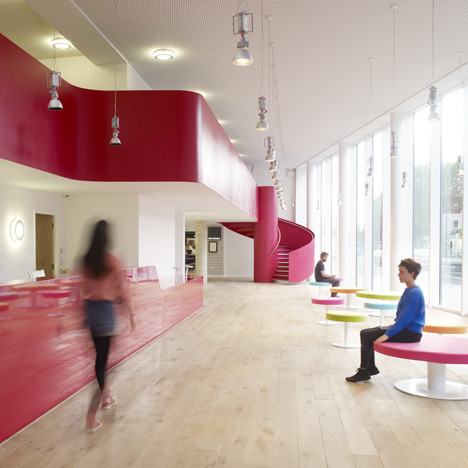 With the student accommodation, named “Scape”, built in London’s East End it can house up to 600 students. All of the bedrooms are no larger than 12.5 square metres in area. 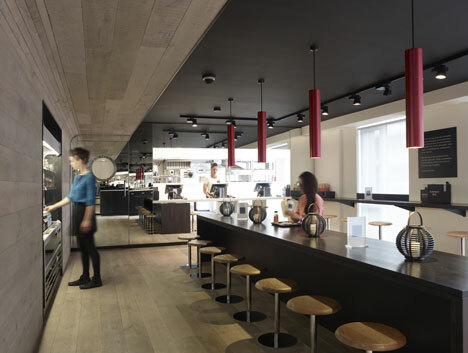 They were inspired by train carriages in which space saving measures in the storage and seating areas (cupboards doubled up as a desk and window seats). 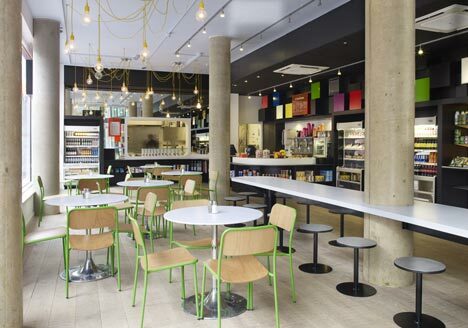 Within the student accommodation, there are two on-site restaurants; a cafe called “The Kitchen”, and a pan-asian restaurant called “Box Noodle”. Both of these feature in the photographs below. A national breakthrough in design for new, modern and affordable student living across the country. This entry was posted in Architecture, Interiors, Residential, Residential and tagged Architects, Architecture, Art, Contemporary, Contemporary Design, Design, Dezeen.com, Exterior Design, Exteriors, Inspiration, Inspirational, Interior Architecture, Interior Design, Interiors, Life, Modern, Modern Design, New Finds, Opinions, Photography, Students, University, University Life.